Before the big game at Citrus College this Thursday, Sept. 1, between Bonita and San Dimas for Smudge Pot bragging rights, renew your love affair with Spaghetti Eddie’s, Glendora’s iconic Italian restaurant that opened this week 26 years ago. Exit Grand Avenue off the 210, pull into the Sports Chalet shopping center and start enjoying 26 years of tradition. One reason for Spaghetti Eddie’s continued success is it has never stopped evolving. “As our slogan suggests, “we’re much, much more than just spaghetti,” said Inglese who also owns New York Pizzeria and Eatery and Tutti Mangia in Claremont and Eddie’s Cucina Italiana in Rancho Cucamonga with his partner Jim Hermanson. Today, a glance at the menu reveals about 100 menu choices, embracing about every delicious aspect of Italian food: Southern Italy (zestier and more robust) and northern Italy, classic and new world, traditional and lighter fare with practically zero carbs — all of it fresh and much of it hand-made. Eddie’s also sources top shelf ingredients, like Barilla pasta, extra virgin olive oils from Italy and sausage from Claros. 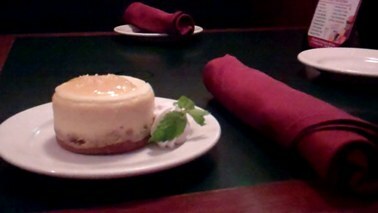 The few deserts it doesn’t make, it orders daily La Mousse Bakery. To sit down with Inglese is like listening to the Food Network. All of August, Eddie’s has been delighting diners with something called Chicken Crespelle, a savory chicken crepe dish. “My chef makes each and every one by hand, and our customers have really responded,” Inglese said. If you can’t stop in at Eddie’s before the big game, hopefully, you’ll still have time to visit Eddie’s at the Los Angeles County Fair, where Inglese will host two tasting stations, representing Eddie’s Italiana Cucina in the wine cellar building and Eddie’s New York Pizzeria and Eatery in exhibition hall No. 4. “We’re looking to really make a statement about the quality of our food,” Inglese said. At Eddie’s Italian Cucina, visitors can look forward to cheese plates, meatball sliders, paninis and different selections of wine while the Pizzeria, will be serving “selections far superior to typical fair food,” along with espressos, cappuccinos and other coffee drinks. 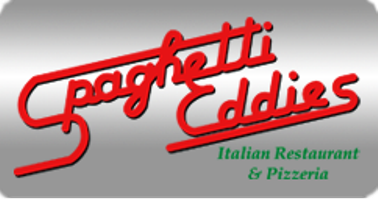 Of course, Spaghetti Eddie’s remains the rock and standard bearer for the Absolutely Italian Management group of restaurants. Many of its servers and chefs have been with Inglese almost since he opened. Its big banquet room has hosted many rehearsal dinners long before Buca de Beppo and other imitators tried to commoditize family celebrations. This place is the original – as happy to cater a small lunch party with a half tray of baked mostaccioli and a loaf of garlic bread or he works for a throng of 400 for a once-in-a-lifetime celebration. Spaghetti Eddie’s also offers Sunday brunch for $11.95 and unlimited champagne for an extra $4.95. Between Thursday’s kick-off between Bonita and San Dimas High School and the month-long Los Angeles County Fair, it’s going to be a busy September for Spaghetti Eddie’s and Mr. Spaghetti himself, Ed Inglese. Stop in, say hello, grab a bite and keep the tradition of good food and family gatherings alive! Spaghetti Eddie’s Italian Restaurant is located at 946 S. Grand Ave. in Glendora. Please call (626) 963-0267 or visit spaghettieddies.com for more information. To see the menus of Spaghetti Eddie’s and all the Absolutely Italian Restaurants, please visit www.aimgroup.org.